Alcohol, Tobacco Worse Than Illegal Drugs? New "landmark" research finds that alcohol and tobacco are more dangerous than some illegal drugs like marijuana or Ecstasy and should be classified as such in legal systems, according to a new British study. Nutt and colleagues used three factors to determine the harm associated with any drug: the physical harm to the user, the drug's potential for addiction, and the impact on society of drug use. The researchers asked two groups of experts — psychiatrists specializing in addiction and legal or police officials with scientific or medical expertise — to assign scores to 20 different drugs, including heroin, cocaine, Ecstasy, amphetamines, and LSD. Nutt and his colleagues then calculated the drugs' overall rankings. In the end, the experts agreed with each other — but not with the existing British classification of dangerous substances. According to existing British and U.S. drug policy, alcohol and tobacco are legal, while cannabis and Ecstasy are both illegal. Previous reports, including a study from a parliamentary committee last year, have questioned the scientific rationale for Britain's drug classification system. "The current drug system is ill thought-out and arbitrary," said Nutt, referring to the United Kingdom's practice of assigning drugs to three distinct divisions, ostensibly based on the drugs' potential for harm. "The exclusion of alcohol and tobacco from the Misuse of Drugs Act is, from a scientific perspective, arbitrary," write Nutt and his colleagues in The Lancet. Tobacco causes 40 percent of all hospital illnesses, while alcohol is blamed for more than half of all visits to hospital emergency rooms. 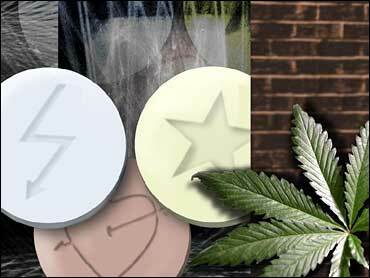 The substances also harm society in other ways, damaging families and occupying police services. Nutt hopes that the research will provoke debate within the UK and beyond about how drugs — including socially acceptable drugs such as alcohol — should be regulated. While different countries use different markers to classify dangerous drugs, none use a system like the one proposed by Nutt's study, which he hopes could serve as a framework for international authorities. "This is a landmark paper," said Dr. Leslie Iversen, professor of pharmacology at Oxford University. Iversen was not connected to the research. "It is the first real step towards an evidence-based classification of drugs." He added that based on the paper's results, alcohol and tobacco could not reasonably be excluded. "The rankings also suggest the need for better regulation of the more harmful drugs that are currently legal, i.e. tobacco and alcohol," wrote Wayne Hall, of the University of Queensland in Brisbane, Australia, in an accompanying Lancet commentary. Hall was not involved with Nutt's paper.